We are one of the leading organizations of the industry passionately involved in manufacturing a quality assured array of FHP Induction Motor, FHP Reversible Motors, FHP Electromagnetic Brake Motor, and much more. These products are made from high-quality input factors under the supervision of domain experts with following industry standards. FHP Induction Motor or Fractional Horse Power Induction Motor is asynchronous motor in which the AC electric current in the stator winding produces rotating magnetic field. This induces current in the squirrel cage rotor and it starts rotating. FHP single phase induction motor requires capacitor to start and run continuously while FHP three phase induction motor does not require a capacitor. The typical no load speed of the AC FHP Indution Motor at 50Hz supply is 2880 RPM for two pole winding, 1440 RPM for 4 pole winding, 960 RPM for 6 pole winding, 720 RPM for 8 pole winding and so on. By attaching a gearbox of desired ratio, it becomes low RPM Induction Gear Motor. 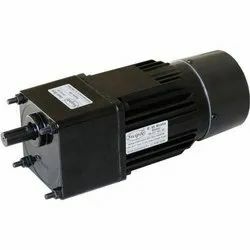 Depending upon requirement for the connection, FHP Induction Motor has lead wires or Terminal Box. Suitable for continuous operation, induction motors rotate in clockwise and anticlockwise direction. FHP Electromagnetic Brake Motor or Fractional Horse Power EM Brake Motor is a combination of FHP Induction Motor fitted with electromagnetic fail safe brake (power off activated). These brake motors have minimum overrun of rotor and load holding capacity, after the electric supply is switched off. FHP single phase EM Brake Motor requires capacitor to start and run while three phase Brake Motor does not require a capacitor. 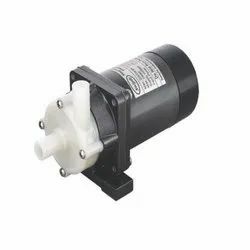 The typical no load speed of the ac fhp em brake motor at 50Hz supply is 2880 RPM for two pole winding, 1440 RPM for 4 pole winding, 960 RPM for 6 pole winding, 720 RPM for 8 pole winding and so on. By attaching a gearbox of desired ratio, it becomes low RPM Gearmotor. 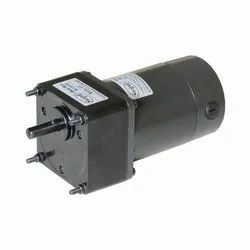 Depending upon requirement for the connection, EM Brake Motor has lead wires or Terminal Box. Suitable for continuous operation, frequent start stop, minimum overrun and load holding. 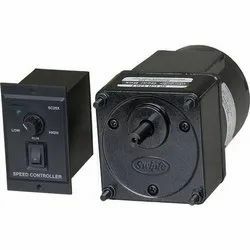 Speed Control Motor or AC single phase speed control motor is a combination of FHP Induction motor with a taco generator for feedback & Electronic speed controller. Single phase supply is given to Electronic speed controller which controls the phase angle of power being supplied to the Speed Control Motor. The feedback is taken from the taco attached at the back of speed control motor to maintain the desired speed. Suitable for continuous operation, the speed of the motor can be varied by rotating knob of electronic speed controller over a wide range of 90 ~ 1400 RPM for 50 HZ supply. The speed can be reduced further by attaching a gearbox. The Torque of Speed Control Motor decreases as the speed is reduced. Square Frame sizes 80 mm, 90 mm. FHP Torque Motors are High Starting Torque, Wide Speed Range, single phase and three phase motors. The speed of Torque Motor can be varied easily by changing the voltage supplied to the motor. However the torque is highest at zero speed and decreases steadily as the speed increases. 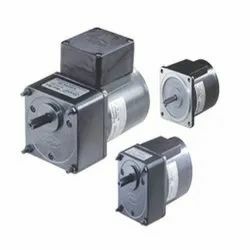 Depending upon requirement for the connection, FHP Torque Motors have lead wires or Terminal Box. Suitable for continuous duty variable speed, stable operation at low speed or locked rotor condition. Output powers are 3 watt, 10 watt, 20 watt. 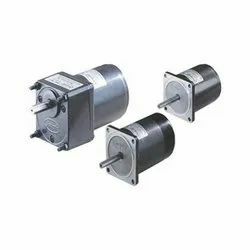 FHP PMDC Motor or Fractional Horse Power Permanent Magnet Direct Current Motor is armature wound carbon brush motor in which the DC current flowing through commutator in the armature winding produces magnetic poles on the armature. Due to the attractive or repulsive forces between armature and permanent magnet positioned in the body, armature starts rotating. The speed of PMDC Motor is proportional to voltage. It can be reduced by decreasing supply voltage. In case the DC Motor stops rotation for any reason while the supply is connected, a large current flows through it, as winding resistance is very low. This increases the temperature and results in burning the motor. By attaching a gearbox of desired ratio, it becomes low RPM PMDC Gear Motor. Output powers are 20 watt, 25 watt, 60 watt, 120 watt, 180 watt. Rated Torque of PMDC Gear Motor is from 0.14 N.m to 20 N.m.
Inline PMDC Gear Motor with keyway type shaft and DC Motor with D type Round Shaft. Pioneers in the industry, we offer 12 lpm magnetic pump from India. Centrifugal Blowers move air by means of centrifugal force generated by a rotating cylindrical impeller. 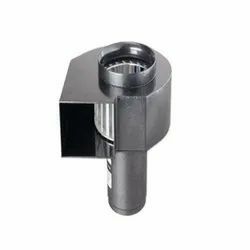 Used for applications where increased air pressure, increased static pressure or high airflow is required. Centrifugal Blowers have a small outlet, which concerntrates air in a single direction and are therefore suitable for local cooling. Air Flow capacity is 100 CFM, 240 CFM, 480 CFM.